Who prints euro notes? Could Greece just flood the market is euro banknotes? REPLY: Legally, both the European Central Bank and the National Central Banks (NCBs) of the Eurozone countries have the right to issue the seven different euro banknotes. In practice, only the NCBs of the zone physically issues and withdraws euro notes. The European Central Bank does not have a cash office and is not involved in any cash operations. 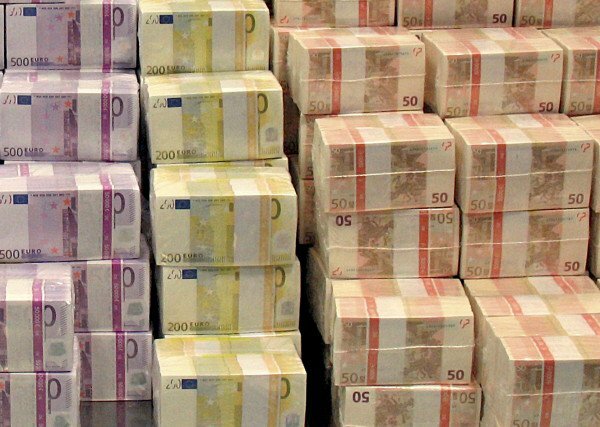 So yes, the Greek central bank could print more euro notes. The ECB governs electronic transfers and book entries. Thus, the European Central Bank is responsible for overseeing the activities of National Central Banks in order to harmonize cash services in the Eurozone. The Central Bank has the facilities to print new currency ASAP. It should do so for the Troika has made it very clear – they will not compromise. The line of thinking will remain a bailout and repayment through raising taxes. That is just not a viable way to restore the economy, just as we saw with Germany following World War I. This is no solution and there is really no alternative but to exit the euro before the Greek economy is totally crushed into the ground.